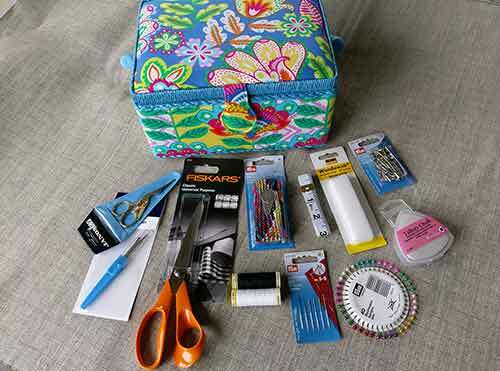 This complete sewing box would make a fabulous gift for any keen sewing enthusiast. 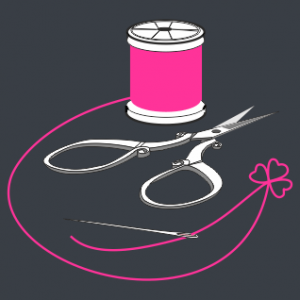 Contains: Fiskars 21cm dressmaker scissors, embroidery scissors, stitch ripper, pre-cut thread plait, hand sewing needles, 60″ non-stretch tape measure, pin rosette, tailor’s chalk, Wundaweb iron-on hem repair, safety pins, 100yd Gutermann thread in black and white. 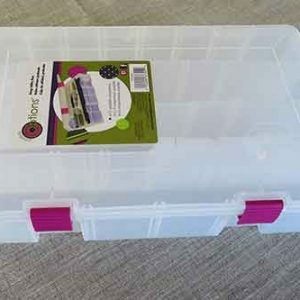 Traditional padded box. Save 10% over price of items purchased separately. Free delivery within Ireland. 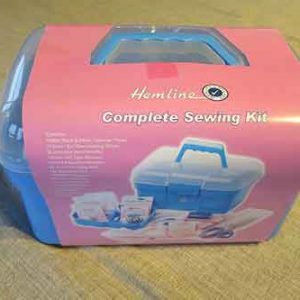 Hemline Deluxe Sewing Kit. Contains all the basics. 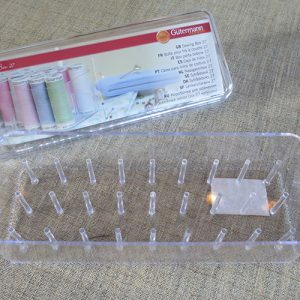 Great gift for a beginner.